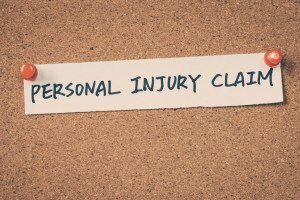 What Are Personal Injury Third Party Claims? Obtaining worker’s compensation with the help of an attorney can be a relatively straightforward process when an injury can be traced directly to the workplace and to performing the typical duties required of an occupation. Sometimes, however, it can be more complicated—such as when a third party becomes involved. You generally cannot sue your employer when injured on the job—that is what worker’s compensation is for—but you can sue a third party that is responsible for your injuries if there is one. One classic example is that of a delivery driver who is involved in an accident with a drunk driver while on his typical delivery route. In this sample scenario, the delivery driver is usually entitled to pursue a personal injury (third party) claim against the drunk driver (and his insurance company) in addition to seeking worker’s compensation benefits. Worker’s compensation can offer limited benefits, so a claimant might seek a third-party personal injury claim in order to help cover costs that worker’s compensation does not cover. These costs might include the costs of pain and suffering, future lost wages, damage to a vehicle, and additional health care selected by the employee (rather than what is designated by the employer under worker’s compensation). When an employee receives an award from a personal injury third-party claim, the employee will typically need to reimburse of a portion of the worker’s compensation benefits. As you can see, the process of obtaining worker’s compensation can become highly complicated, especially when there is a third party involved. This is why it is crucially important to have a skilled and experienced lawyer on your side when you face an injury in the workplace. If you have been recently injured during the course of your work, don’t hesitate to contact us at Ben Davis Law PLLC. Our worker’s comp specialists work hard for the hard workers of Salt Lake Valley and across Utah.